Happy Friday! Hope you gals had a great week and are gearing up for a nice, relaxing weekend. I’m going to spend it prepping some holiday stuff and decorating… nothing toooo exciting 😉 The weather has finally cooled down a little bit here in Miami… granted…not much, but at least I can wear long sleeves and the occasional sweater without melting into a puddle! I’ve had a few events to go to lately, and I always gravitate towards easy dresses if I’m going to be running around. 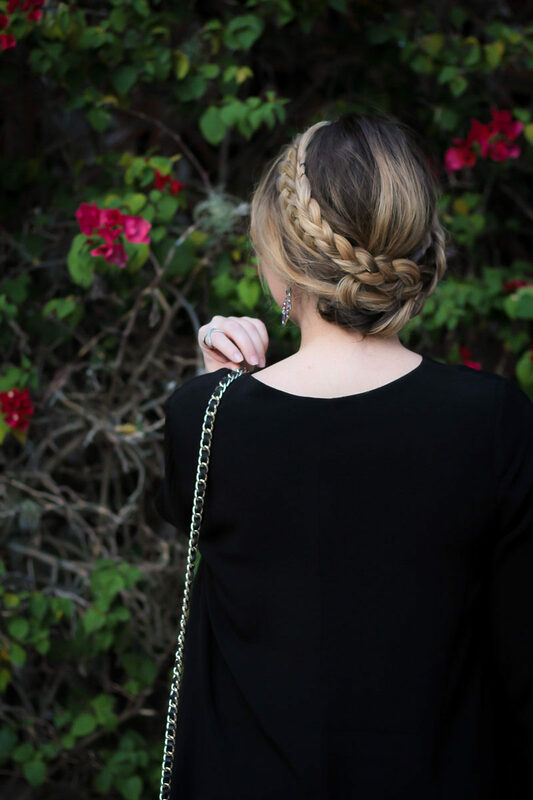 I wore this little black bell sleeve lace up dress to support my girl Kristin’s Macy’s event a few weeks ago. She was hosting a styling event for A/X and she always comes to support me at my events, so I really wanted to go by and see her at hers. We grabbed dinner afterwards and it was so nice to catch up… I hadn’t seen her in so long, it felt like! I shared it on Snapchat and Instagram and so many of you loved the look, I decided to shoot it for the blog! 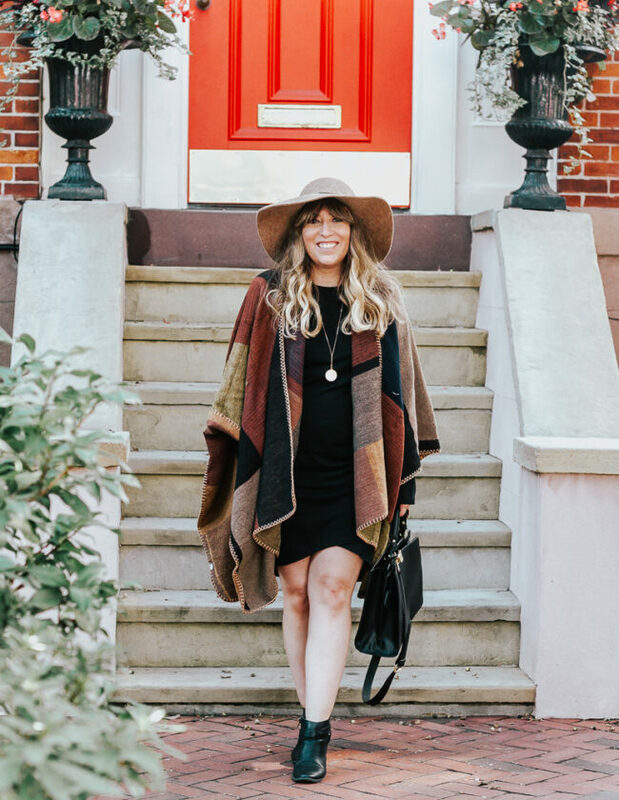 You may remember this bell sleeve lace up dress from this post… I styled it a bit differently and belted it so it would be shorter. That’s what I love about pieces like this… they work more than one way! When we invest in pieces for our wardrobes, I think it’s important to go for pieces we can get a lot of mileage out of. Pieces that can mix and match and you can change their vibe with a simple accessory tweak… that’s the mark of a must-need piece. Just noticed the lace up dress is sold out, but this one and this one are great alternatives that look just like it! 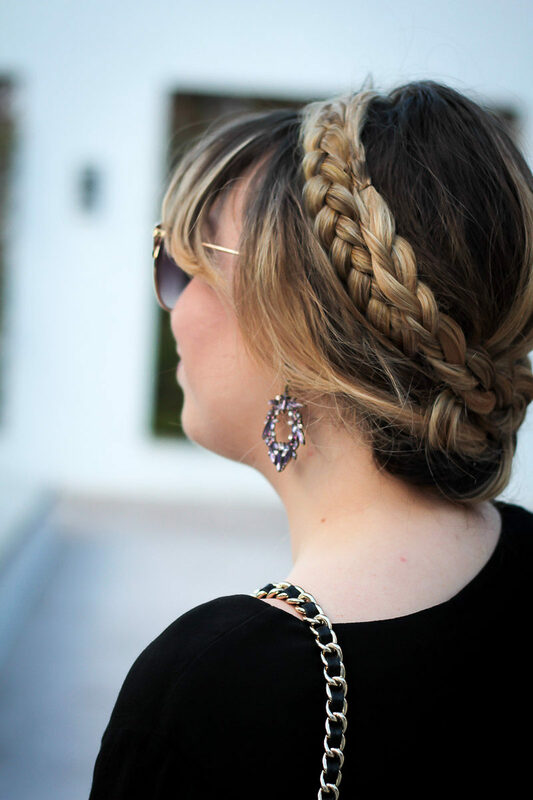 I am having the time of my life styling this braided headband! It has really completely revitalized my creativity when it comes to hair styles. (I wore it last night to the opening of the new NYX store at Miami International Mall last night and got 5 compliments! I’m telling you… so many compliments.) Ya’ll need one. Or all of them. I really wanted to do an updo to show off these gorgeous earrings. I am IN LOVE with these Baublebar earrings, the Nevaeh Drops. They are so beautiful, the purple and pink are just so rich and gorgeous. I’ve been wearing them a lot, they give a great pop of color to any look. Thanks so much for reading! I hope you have a great weekend! I’d love to hear… what are you up to this weekend? Let me know in the comments!